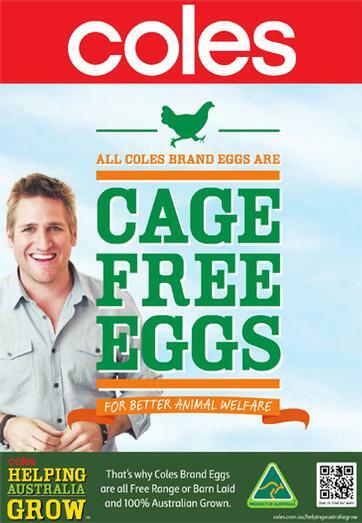 Does this mean that all pork and eggs sold in Coles are cage free? No. The Coles sow stall policy and cage free egg policy only applies to their own brands (eg. Coles Finest etc) and not to other brands sold in Coles supermarkets. What does Sow Stall Free mean? Sow Stalls or Crates are used to confine individual sows in intensive pig production. These stalls are very restrictive and do not allow free and natural movement by the sow. All she can do is stand up or lie down. She cannot turn around. Sow Stall Free means that sows will not be kept in these stalls, instead the animals will be group housed in sheds. This is a positive initiative by Coles. So I will no longer be eating pork from pigs that lived in sow stalls? The pork that we eat is not grown in stalls, only sows (fully grown breeding females) are kept in stalls. The pork that we eat comes from much younger animals that are far smaller than the breeder pigs. These 'porkers' only grow to around 75kg and are raised in small indoor pens on concrete in sheds or perhaps in 'eco-shelters'. Conditions for these pigs will not change. What you will be buying is pork from pigs born to mothers (sows) that did not spend their entire pregnancy in a tiny sow stall although sow stalls can still be used after weaning and until the sow is pregnant again. 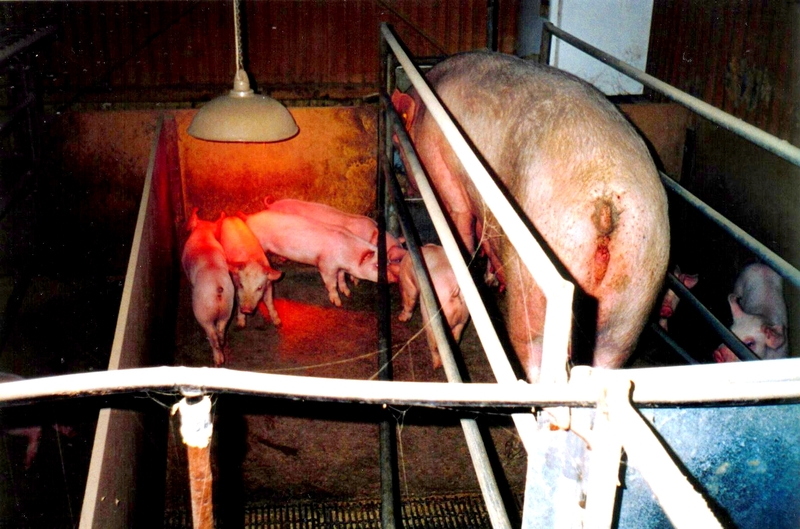 * However, the sow would still have been confined to a farrowing crate for the birth and until the piglets were weaned. Is Sow Stall Free 'Free Range'? No. The porker pigs are grown under the usual intensive, factory farmed conditions. Hasn't the Pork Industry promised to end the use of Sow Stalls by 2017 anyway? What about Farrowing Crates? Does Sow Stall Free mean they are no longer used? Farrowing crates are very similar to sow stalls but they are even more restrictive on the sow's movements. Farrowing means giving birth, so sows are moved into these crates to give birth to their piglets and remain there until their young are weaned. What Does Cage Free eggs mean? Caged egg production is very common and means that the hens are confined in cages in a group with other birds. They are given a floor area of the size of an A4 piece of paper on which to live and are unable to do all those things that come naturally to hens such as scratching, perching, dust bathing, wing flapping and foraging. Cage Free means that the hens will not be confined in tiny cages. Does Cage Free mean that the eggs are free range? No. Hens can still be confined in overcrowded sheds without any outdoor access. Does Coles produce free range eggs? Coles are supplied with eggs that are produced under the Coles Standard for egg production. This means that the eggs are produced to Cole's interpretation of the term free range. Coles has not made their Standard available to the public. But surely this is better than the hens being kept in cages? Stopping the use of cages for Coles branded eggs is a wonderful initiative but taking advantage of the demand for free range negates the good done and instead threatens the integrity and longevity of the genuine free range industry. We would like to see Coles develop a new descriptor for the eggs produced under their Standard that would more honestly describe the production system used and not mislead consumers. How are the Coles Free Range Eggs produced? Purpose built 'aviary' systems that have multi levels inside the shed house up to 40,000 hens each are used for Coles branded eggs as well as industrial size sheds. The birds are given access to an outdoor area (not mandatory that they actually use it) and the outdoor stocking rate is 10,000 birds per hectare. They live in a barren environment. There is no requirement for pasture for the hens to forage in the range. Hens do not have to be let outside if it is too hot, too cold, raining, or too windy. Are Coles branded eggs produced to a recognized industry standard? No. Coles has developed their own standard for branded eggs. Where can I find the Coles Standard for egg production? You can't. Coles has not made their standard available to the public. We suggest that you contact Coles directly and ask for a copy. How can I let Coles know that I am unhappy about their use of the term free range? *Pork industry standard allows the use of sow stalls for 5 days between weaning and mating each lactation.